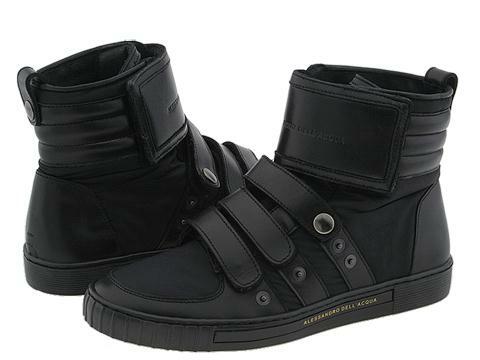 Step out in style in these incredible high top sneakers from Alessandro Dell'Acqua. Snap and hook-and-loop closure. Combination leather and fabric upper. Textured rubber sole. Made in Italy.